Why Choose the Architectural Engineering Design Program? Creating designs and seeing them take shape, jumping from two-dimensional images to three-dimensional layouts? The Architectural Engineering Design program focuses on Computer-Aided Design (CAD) software used in the design/construction industry, which is enhanced by hand drafting, engineering, design standards, building codes, cost estimating, team planning and much, much more. Employment opportunities utilizing these skills are vast and varied. 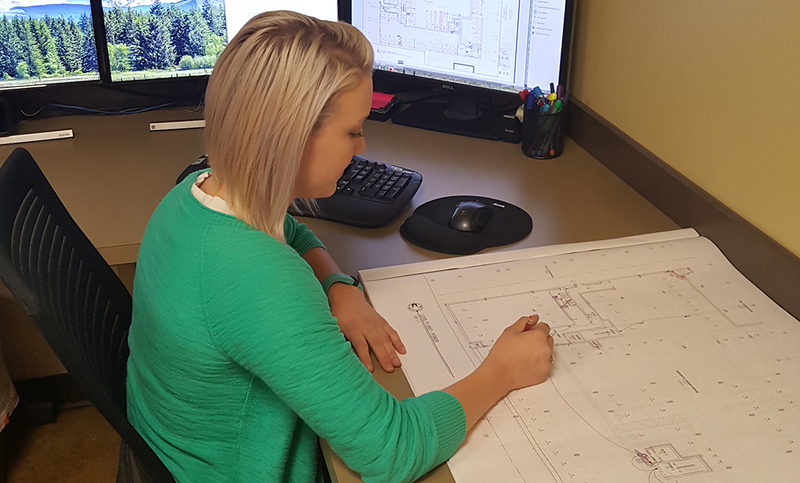 If you love drawing, visualizing and laying out designs and concepts for buildings, this program and career path might be the perfect fit. 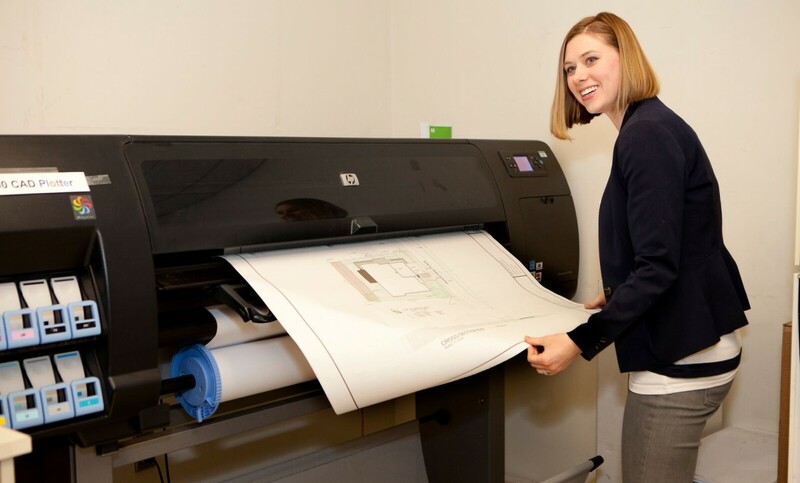 Our Architectural Engineering Design program prepares students for careers in residential design or technical fields like computer-aided drafting. Demonstrate competency in the latest computer-aided drafting (CAD) software, such as Revit, AutoCAD, Civil 3D, and SketchUp. Apply state building and energy codes and industry standards to create a complete set of construction documents for a single-family home. Create a dream home for a client based on their ideas, needs, budget, timeline, and site features. Manage a construction project to meet the construction schedule through the three phases of design: schematic design, design development, and construction documents. Analyze civil engineering data to create civil drawings using industry mapping software. Use statics and dynamics to assess engineering components of building materials and physical forces upon them. Research and categorize products used within the construction industry using industry’s MasterFormat system. Communicate effectively through written, oral, and visual means architectural, engineering, and design industry issues and associated design solutions. Poppy Bushnell earned a BA in Economics from University of Puget Sound in 1978 and pursued her passion for architecture by earning her AAT in Architectural Engineering Design from Clover Park Technical College in 2001. She was a specification writer and project administrator with KMB Architects and is an active member of the Board of the Construction Specification Institute's Mount Rainier Chapter. Architectural Engineering Design Program Information Sessions are hosted in Building 19, Room 201, at 3 p.m. on the second and fourth Wednesdays of the month. For more information and a complete schedule of session dates, click here. 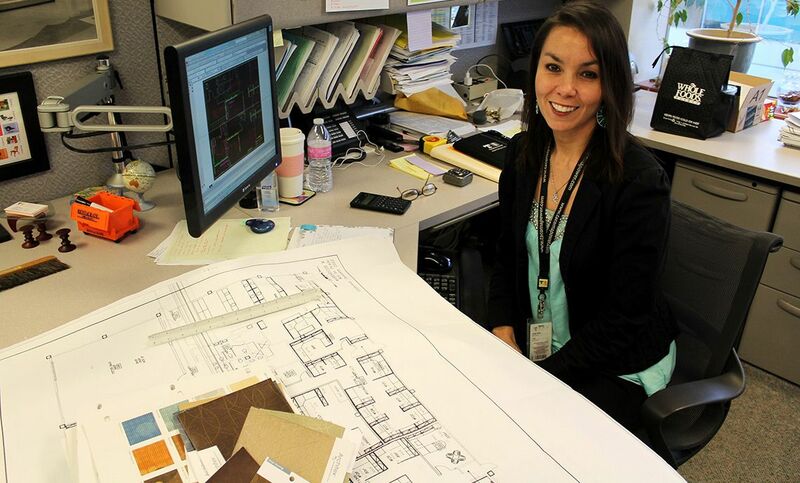 CPTC and NWC&THS alum Sarah Cox works on a design at her job at Boone Electric in Puyallup. Cox was hired in March and finished her final quarter of classes while working full-time. Invested in student success: Alumna Katie Stock credits instructors with support through degree program, job hunt—and beyond. Architectural Engineering Design graduate Linda Brent has been employed at Tacoma Public Utilities since 1999.